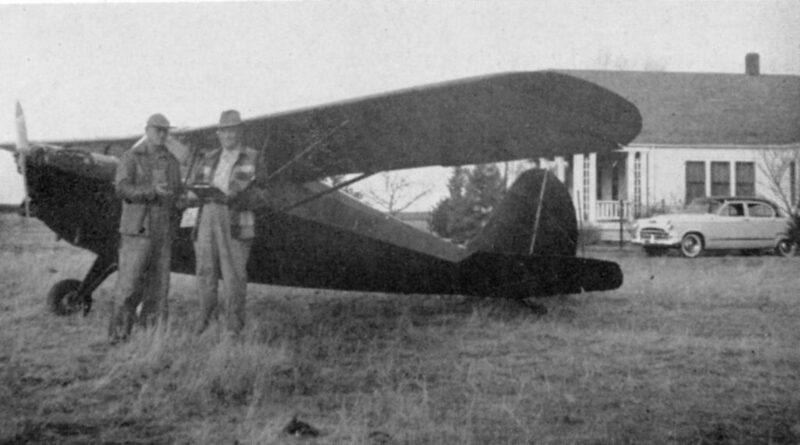 Stanley Smrcka, Grant County’s flying farmer-insurance agent, is shown here as he finishes filling out the application for insurance on Frank Krejsek’s new automobile, parked near Krejsek’s home. 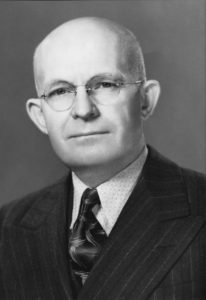 Did you know Grant County Farm Bureau once had an agent who sold insurance by air? Stanley Smrcka was featured in the May 1953 Oklahoma Farm Bureau Journal for his unique, high-flying techniques. Read more about Smrcka and his farming background in the published article below.